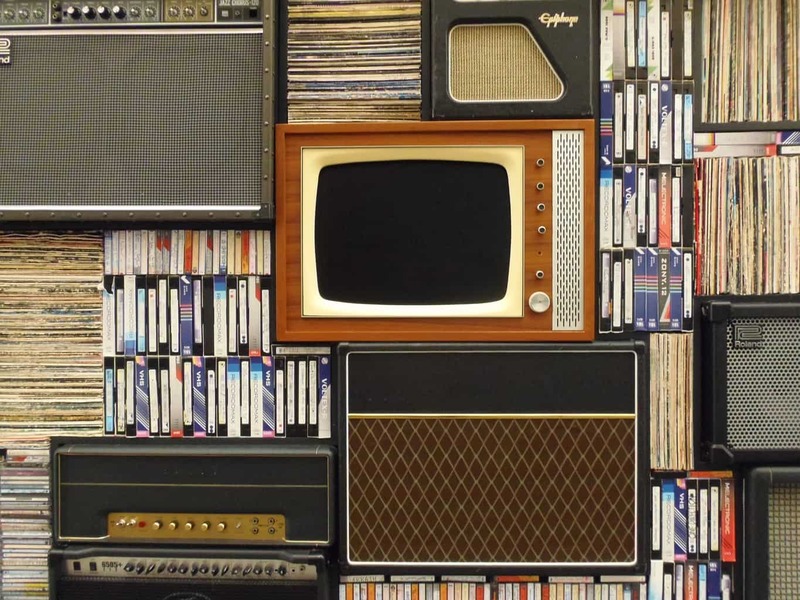 Are you looking to change the look of your television, but just not sure what to do to spruce it up? Nowadays mounting your television is a sure shot way to freshen up the look of your entertainment area. A hidden TV mount is the sleekest, most stylish way to achieve this goal. The illusion of a floating television is an elegant addition to any living space. 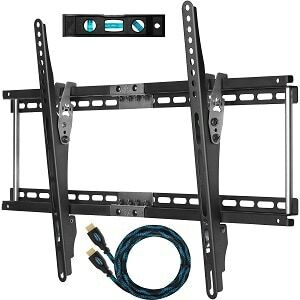 Whether you’re seeking a full floating mount set or something that will hide your television from view when not in use, there is something out there for you. To make your search easier, we have corroborated a list of the best hidden TV mounts to help you make the most informed and fashion-foward decision! 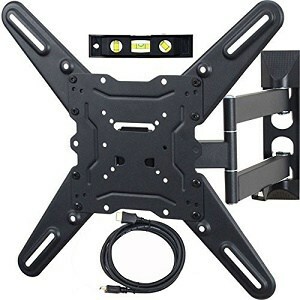 This top-of-the-line motorized TV mount is perfect for those looking to hide their television when not in use. The frame is a sleek, modern-looking unfinished poplar, and the screen of your television can be covered with an included picture or a picture or painting of your choice. The picture goes over the television and inside the poplar frame, creating the appearance of a piece of art when you’re not using your television. 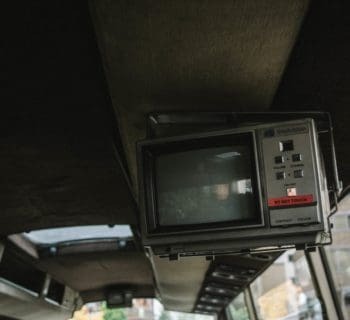 This is great for people who don’t want to interrupt the decor of their home with a television. 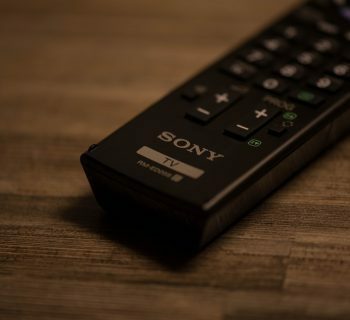 The motorized mount can be controlled via remote access to adjust the angle of the television, as well as moving the television closer or farther away. This is perfect for bedroom use as well as use in a living or family room. 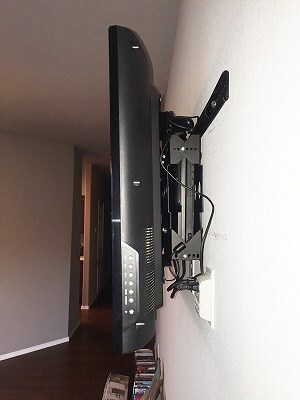 This easy-to-use hidden TV mount is perfect to achieve that floating look you desire for your living space TV. The device is extendable, so you can have your television closer or farther away depending on your preferences as you please. The ability to tilt the television is important for avoiding that annoying glare TVs can sometimes get from lights in the room. The Cheetah mount comes with a lifetime guarantee. There is less metal used in this, to make it more environmentally stable without sacrificing the security of your mount. It can fit any TV between 20 and 75 inches. This mount is perfect for the bedroom, and another great option for those looking to hide their television when it is not in use. 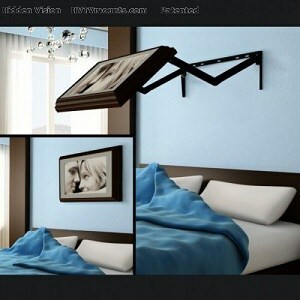 It is very adjustable, so you can watch shows or movies, play video games, and even read eBooks from your bed or seating area! Bring the TV as close or as far as you’d prefer. One unique feature of this hidden TV mount is that you can paint the frame to suit your own personal preferences if you so desire. If not, no worries, because the frame is a sleek black that will match any decor. In a resting position, your television is hidden by a picture frame that you can choose your own photo or painting for. 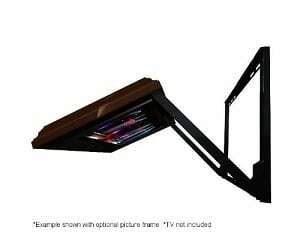 Your flat panel TV will be a stunning eyepiece with this hidden TV mount. Make your television the center of attention in any room! This wall mount kit is easy to assemble and use, and a great hidden mount alternative to using a shelf. This unit is optimal for a television from 22 to 50 inches. The exterior has a powder coating to ensure long-lasting durability. The mount also has different tilt angles that you can set during assembly to avoid that nasty, undesirable glare. The mount has a compartment to hold your DVR or satellite/cable provider’s box. It is large enough to suit most cable providers and DVRs, including DISH and DirectTV. 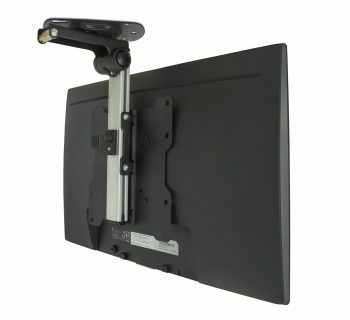 This heavy-gauge steel mount can support a television of up to 88 pounds. You are able to adjust the leveling of the television even after installation, ensuring that your TV will be perfectly leveled even if you don’t mount it perfectly the first time. The mount can be tilted to different angles to avoid the glare no matter where you’re seated in the room, or if you’re lying down. It can also swivel and turn for maximum viewing flexibility, perfect for when you’re entertaining family and guests. 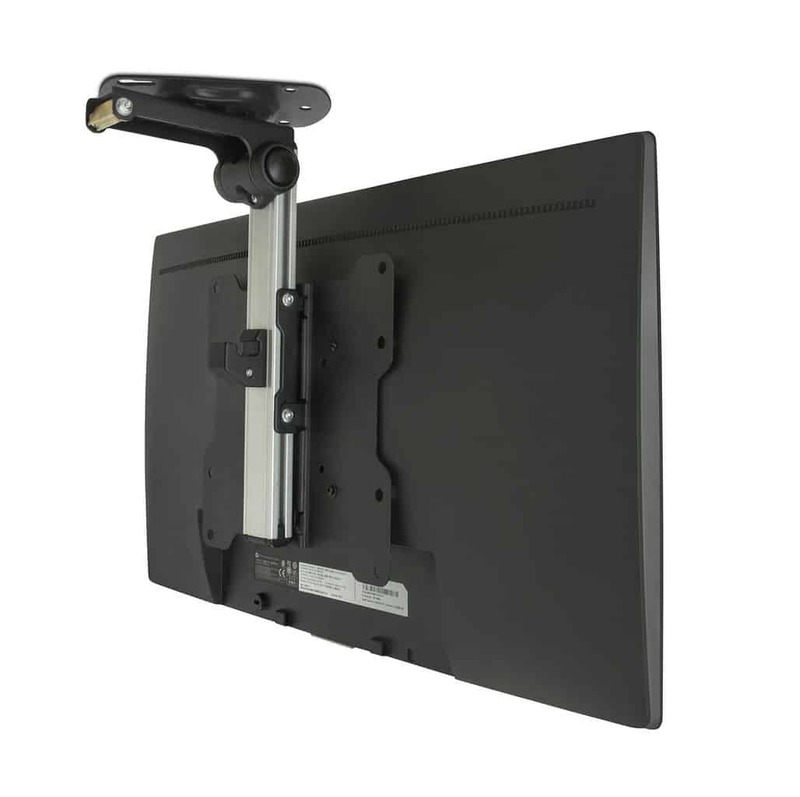 The mount retracts for compact space saving, but can extend up to 20 inches for a close viewing experience, or for watching farther away from the television. A hidden TV mount is the answer to your interior design prayers. 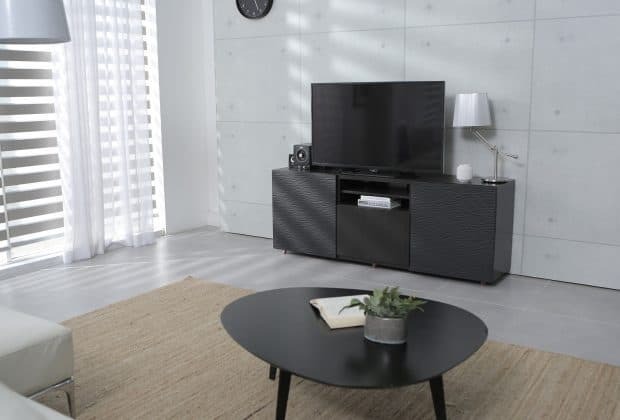 Whether you want your television to be the center of attention in the room, taking the spotlight, or whether you want your TV to be hidden when not in use as to not interrupt your spotless decor, there are flawless options available to suit your personal preferences. 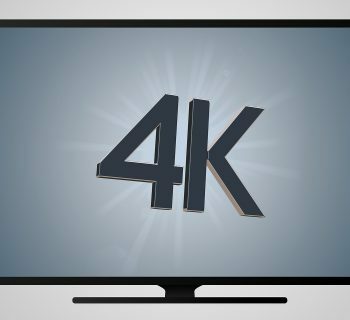 Mounting televisions is very in style at the moment, and has the added benefits of reducing glare and increasing viewing flexibility from anywhere in the room. While the search for the perfect mounts might seem overwhelming at first, with our comprehensively researched list of the best hidden TV mounts, you can rest assured that you’re picking from the best products on the market.